A 65-year-old man was arrested for DUI and a charge of hit and run while trying to leave the scene of an accident. SEBASTIAN – A bystander who witnessed an accident in the Winn-Dixie parking lot in Sebastian was able to gain control of the suspect as he tried leaving the scene, according to the Indian River County Sheriff’s Office. Philip Vern Caldwell, 65, was arrested on a charge on DUI and Leaving the Scene of an Accident with Property Damage. The incident took place on Saturday at 6:15 p.m. at 995 CR-512 in Sebastian when a bystander saw Caldwell attempting to leave the scene of an accident. The bystander held Caldwell on the ground and called 911 to report the incident. Deputies arrived and made contact with Caldwell, who was unsteady on his feet, the arrest affidavit said. Deputies also smelled an odor of alcoholic beverage on Caldwell’s breath, according to the report. 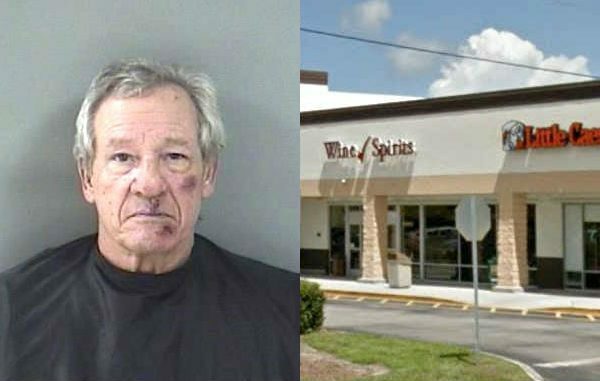 Caldwell told deputies that he drank a pint of vodka and was heading back to the Winn Dixie store to buy more to drink, the report said. “I asked him if he believed he should be driving and he stated that legally he should not be driving because he was drunk,” the deputy said. Caldwell told law enforcement he had been consuming alcohol all day, the arrest affidavit said. Caldwell was transported to the Indian River County Jail for processing where he provided a breath sample, which was .16 and .17.